Every once in a while I find a recipe that calls for self-rising flour. And since my pantry is jam packed with other staples, I don’t want to have to buy a bag that will mostly go unused. Here’s a great way to make it on the fly, so you don’t have to allocate valuable shelf space to store it, nor feel the pressure to use it before it “expires” into non-rising flour. 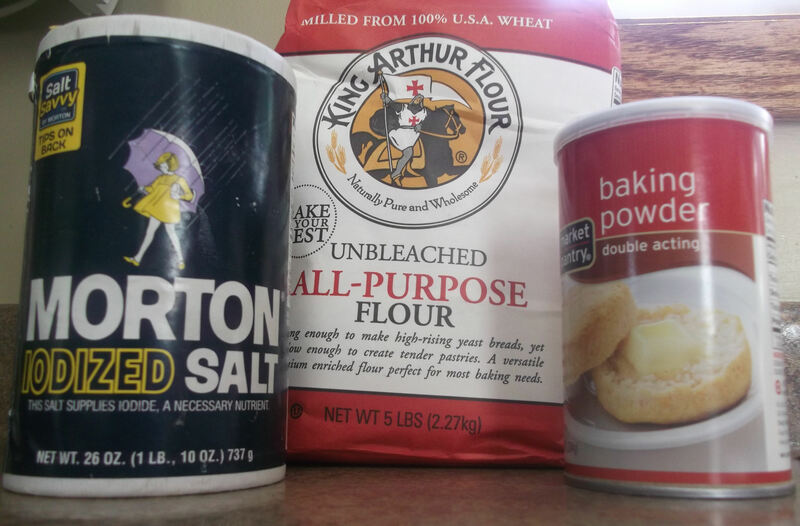 Here’s what you need: all-purpose flour (I prefer unbleached), baking powder (make sure the baking powder hasn’t gone past itsexpiration date, because that’s what provides the “rise” in the flour), and salt. Here are two versions of the recipe, so pick the one that will make as much – or more – than you need, and store the rest. Place the flour, baking powder and salt in a bowl. Whisk to combine, then measure out what you need. Store the rest in an airtight container for next time. I’m guessing it will remain effective until the baking powder expires, but haven’t tested this theory yet.